Roboticsengineeringandgameplay | Maryland Lego Robotics Camp. Campers will Build and Program s NXT, EV-3 & TETRIX robots. Maryland Lego Robotics Camp. Campers will Build and Program s NXT, EV-3 & TETRIX robots. This entry was posted in MARYLAND SUMMER CAMPS, Uncategorized and tagged Bethesda, robotics camp, summer camp on September 27, 2018 by Robotics Engineering and Game Play. This entry was posted in Uncategorized on December 28, 2017 by Robotics Engineering and Game Play. This entry was posted in Uncategorized on April 6, 2017 by Robotics Engineering and Game Play. TWO GREAT STEM/STEAM CAMPS: REGISTER TODAY! This entry was posted in Uncategorized on April 24, 2016 by Robotics Engineering and Game Play. 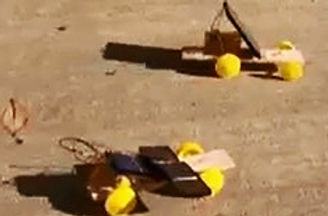 Students Build and Program NXT, EV-3 & TETRIX robots. This entry was posted in MARYLAND SUMMER CAMPS, Uncategorized and tagged Bethesda, robotics camp, summer camp on January 26, 2016 by Robotics Engineering and Game Play.